Welcome to iYogaprops, the Australia's leading yoga equipment supplier! Established in 1998, iYogaprops is an online supplier that was born from the need for quality yoga products and more reliable supplies for a growing yoga market. Peter Harley and David Spratt are the owners of iYogaprops. Because both of them are practitioners and teachers of yoga, together they have an extensive experience in the industry. As a result of their practical experience, they can offer their customers sound advice and recommend the best yoga products for themselves. For your peace of mind, all the equipment offered on their online store is tried and tested. With the belief that the quality of a yoga practice should be proportional to the cost of yoga supplies, they offer their products at the most affordable prices ever possible. To ensure that, they use a unique system that help them to calculate the shipping costs at the most competitive and accurate rates in real time without any hidden costs. 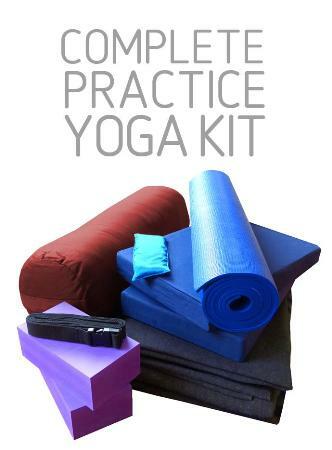 From yoga mats to yoga kits, bolsters, props and accessories, find anything and everything you need for your yoga exercise practice at www.iyogaprops.com.au.